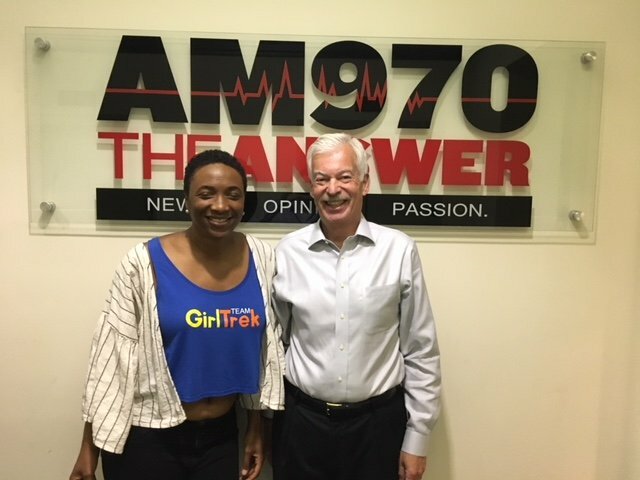 The following is a conversation between Morgan Dixon, Co-founder and CEO of GirlTrek, and Denver Frederick, Host of The Business of Giving on AM 970 The Answer in New York City. 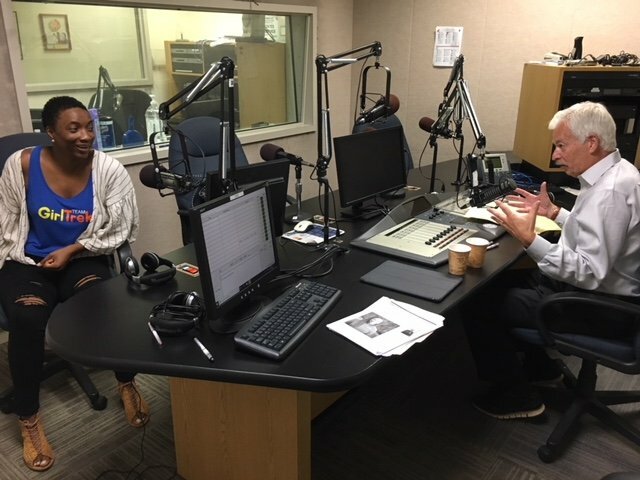 Denver: I consider it to have been a real accomplishment to have gotten my next guest to come in today to sit down with me for an interview because, more often than not, you’ll find her walking – walking alone, walking with a group of friends, and now walking with nearly 150,000 other black women in an extraordinary grassroots movement known as GirlTrek. 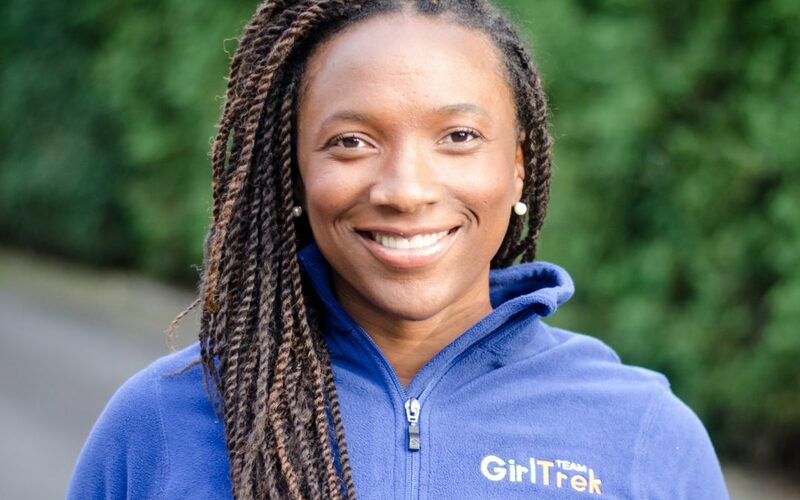 She is Morgan Dixon, the Co-founder and CEO of GirlTrek. Good evening, Morgan, and welcome to The Business of Giving! Morgan: Good evening, Denver! Thank you for having me. Denver: Share with us, Morgan, the mission of GirlTrek. Morgan: GirlTrek is now the largest health organization serving black women and girls. Our mission is to rally one million black women to walk outside their front doors and take to the streets of their neighborhoods for total healing, to inspire their daughters, and to reclaim space in the 50 highest need communities in America. Denver: How did this idea get started, Morgan? I know it was just you and your friend Vanessa. What in the world happened that ultimately has led to this? Morgan: A whole lifetime, Denver, I’m sure your listeners are not at all interested in. Vanessa looked at her family, and the life expectancy in her family was in the early ‘60s. She had lost a grandmother, many aunts just from preventable diseases, and she talked to me about it a lot. And I was a classroom teacher, and I heard the statistic that half of the girls in my classroom at that time were going to get diabetes. And for me – I was in Teach For America – there was nothing I could teach that day or that week or that month that seemed to matter… knowing that statistic, that half of them were going to get diabetes. So we started trying a bunch of things, and then we started trying to save our own lives. And that’s when we started holding each other accountable as friends. That’s when we started shooting for ambitious goals. I’d never done backpacking before I did this 50-mile backpacking trip because… why not? And she had never run before she did the Chicago Half-Marathon because that was a huge deal for her. And in order to do both of those things, we had to start somewhere. So we started walking together, talking together, and holding each other accountable. Black women are dying faster and at higher rates than any other group of people in America from preventable obesity-related diseases. Denver: Let’s talk a little bit more about the health of black women in America today and, particularly, as it relates to preventable disease. What do those numbers look like? Morgan: Thank you for asking the question. I hesitate to jump right into the numbers—let me tell you the numbers, and then maybe we can unpack them. So right now, today, 137 black women will die from preventable heart disease, and that’s every 11 minutes. When we do trainings, we do this beautiful Tibetan chime every 11 minutes because it’s startling how quickly that is. So in a three-hour session, that’s like 17 women have passed. That number is abstract, and it’s hard to understand. But, for me—I travel so much, I always imagine all of the planes that I travel on; that’s like a plane filled with black women crashing to the ground every day. It’s startling when you think about that, but in context, what we know is that black women are dying faster and at higher rates than any other group of people in America from preventable obesity-related diseases. So, half of black women, 53% of black women are obese and 82% of us are over a healthy weight or overweight. Our movement is less about walking…Our movement is much more about reclaiming at least 30 minutes a day for self-care. Morgan: We always laugh about it, but it actually is so true. That if, in fact, black women have been valued for their labor in this country for 400 years–it is true–and if every time you go to the post office or a Whole Foods, or you get on a city bus, and you see a black woman who is in service of others, “At what cost?” is the question. And so for me, it’s really interesting to think about reclaiming time as a revolution, as a radical act. And so, our movement is less about walking, although walking is the most powerful thing you can do, and we can talk about that later. Our movement is much more about reclaiming at least 30 minutes a day for self-care. And if we can encourage, and if we can mobilize, and if we can rally one million black women – mothers, aunts, grandmothers, daughters, students, activists, artists – to do that every single day, we believe that we’re on to something. Slowing down, taking 30 minutes to ourselves, and in that 30 minutes doing something that is radically powerful and transformational for the health crisis at large. Denver: I’ve noticed often you don’t use the word “self-care,” but sometimes you use “survival” because you believe it resonates better. Why would that be the case? Morgan: I think “self-care” can feel vapid. I think it can feel like bubble baths and smelling salts. Morgan: It can. But Audrey Lorde said that self-preservation is an act of political warfare, and I believe that. I believe that when you think about the world in terms of labor, when you think about the world in terms of capital, if you think about the people who were providing the labor, taking time to care for their bodies and demand what they need to be healthy, whole, and sustained – that feels radical. That doesn’t feel like bubble baths. Our Number one rule is: We never leave a sister behind. Denver: Now, I suspect there are probably no rules to be part of GirlTrek, but there are certainly guidelines. How much, how often do you encourage these women to walk? Morgan: That’s where you’d be wrong. There are tons of rules for GirlTrek. Let me just tell you. When you’re starting a health movement, and you’re getting a million black women to walk—no. We actually studied pick-up basketball. We said, “Pick-up basketball is like the hidden public health gym. People all across the country do it every Saturday morning. How can we create these kind of game rules that everyone can understand?” So we have something called “The Trek Code.” So if you see GirlTrekkers across the country anytime, we’re always wearing bright, superhero blue. We do that so that people can see our service because we want you, Denver, to see us in Central Park or in parks all across the country. But our Number one rule is: We never leave a sister behind. It’s our Number one rule because everyone is walking at their own pace. What we ask women to do is to walk 30 minutes a day, five days a week and to, if you don’t meet that goal, to at least walk on Saturday mornings. The reason why we chose 30-minutes, five days a week is because we know that if a woman does that, that she decreases her risks of getting certain preventable diseases by nearly half. So diabetes, stroke, heart disease, even Alzheimers, dementia are all halved by physical activity. At 30 minutes of physical activity by day, your risk of getting those diseases is cut down by half, and that for us feels powerful and necessary and a beautiful thing. So that’s what we’re doing. Denver: And just hearing you, too, walking is really underestimated, isn’t it? As a core activity, we kind of take it for granted, but it seems that it makes a profound difference. Morgan: It’s interesting. The 18th US Surgeon General is on our board of directors, and she started a walking campaign and everyone was like, “Really? Is that how you want to spend your capital?” And she said, “Listen. If every doctor in the country could prescribe one thing, I would tell them to prescribe walking because it is the single, most powerful thing anyone can do to improve health.” So absolutely, it’s underestimated. …there’s something powerful about the rhythm of walking on the same pace with someone else. Denver: And there’s something very powerful about propelling yourself forward. Morgan: Yes. Psychology Today did a story on GirlTrek. Everyone knows that GirlTrek is mobilizing a million black women to walk, and particularly in the highest need communities in America. And we know that that is powerful for the health crisis disproportionately facing black women, but we also know that it’s powerful for agency and advocacy. And so Psychology Today said, “What is it about GirlTrek? When women and GirlTrek start walking together, they start changing things. And why is that?” And the story concluded that there’s something powerful about the rhythm of walking on the same pace with someone else. That when you walk, you can talk because you’re walking at a pace that is rigorous but also comfortable enough for talking. When you walk, you are assessing the needs of your neighborhood. And when you walk, you have a sense of agency and forward momentum so that you are in a space of hope. And that feels just incredibly smart to have a million black women doing that together. Denver: It sure does. How do you get started in a community or a city? How did you get started, Morgan, in Philadelphia or Chicago or Seattle? Morgan: Yes. The best part about GirlTrek is that GirlTrek starts wherever there is a motivated woman, and so we say there is a Harriet in every neighborhood in America, in reference to Harriet Tubman. You don’t have to wait for anyone for GirlTrek. We don’t have formal chapters. Just speaking about innovation, we had formal chapters at one point. We had city captains and neighborhood captains. We had certified this and certified that, and super, super codified hierarchy. It reminded me of growing up in the church because that’s where I got my sense of leadership from. It was a disaster. It was great to get us to about 30,000 members, and then after 30,000, it just became incredibly complicated. So we looked and studied the civil rights movement. We looked and studied powerful movements and powerful nonprofits, even Alcoholics Anonymous and the NRA. We studied just incredible, powerful movements and how they happened. In the civil rights movement, the thing that stuck out most is that there were clear outcomes that everyone was going for, which ours is to inspire a million people to start walking. There were rules and core values that were super clear to everyone, and we have those. And then it was, in the words of Ella Baker, “Strong people don’t need strong leaders. Give them light, and they will find the way.” It was identifying these leaders across the country who were ordinary women, who were leaders of self. And if they could be leaders of self, they could then rally their own friends and family to act in service of self. So that is how GirlTrek works across the country. So in a practical sense, a woman hears about GirlTrek perhaps on your show today, and she goes to GirlTrek, she takes the pledge, which is to say that I will walk at least five days a week, 30 minutes a day, especially and always on Saturday that we call “Superhero Saturdays.” And after she takes the pledge, she laces up her sneakers, she opens her front door, and she goes for her first walk. Well, that can get boring after Walk 3 or 4 for sure, particularly if you’re walking in neighborhoods that are developments that are not incredibly walkable or not incredibly safe or beautiful. And so GirlTrek makes it our mission to inspire this woman to keep walking until she achieves habit formation, which for us is walking at least three months regularly, daily. And so we produce something called Harriet’s Handbook, which is 1,000 walks to save your own life, and we incentivize every time you meet benchmarks. So that a woman herself can just pick up this handbook, she can walk, she can create a new habit for saving her life, and in doing so, she inspires other woman to do it. Now, what inevitably happens is that a woman gets really, really excited. She experiences success right in the first couple of weeks. She gets so excited that she rallies her whole church, and they all start walking together,… or her whole sorority or her whole neighborhood. And so that’s what’s happening in places likes Henderson, North Carolina with Vonda and her entire church. Or Cynthia and the entire city of Jackson, Mississippi. One woman got the entire city activated. And so that’s happening all across the country. Denver: Wonderful champions. Let’s talk a little bit about Harriet, because if there is a patron saint to this movement, it would be Harriet Tubman. Tell us a little bit about her life and why she’s such an inspiration to you… and really everyone who knows about her. Morgan: Well, she’s the baddest Freedom Fighter America has ever seen. Denver: There you go! The end. Morgan: The end! Harriet Tubman is, in all seriousness, just a giant in American history. She’s just a giant. She incorporates and embodied all of American values. The reason we celebrate her life is because not only did she live to be 92 years old, but she did it with just the most swagger and style and courage. Harriet Tubman, for those who are listening who may not remember, I think we probably all learned about her in fifth or sixth grade. But listen, that was a long time ago; so let me give you a refresher. Harriet Tubman was an enslaved African-American woman. She lived on the eastern shore of Maryland. She walked herself to freedom across the Mason-Dixon line. She walked north. And then she came back several times for her friends and her family members, and then she created a network of allies to help her transport hundreds of people to freedom. And then after doing that, she became just an American hero. She worked as a spy for the Union Army. She was the first woman to lead a military operation in America. She just did incredible things throughout her entire life. And so for us and for GirlTrek, it is just incredibly powerful to think about what we now call the Tubman Doctrine. That doctrine includes four steps: One, save yourself first. And that is hard to even say. I think, for better or worse, our country is founded in service to others. I think particularly in African-American culture and particularly with women, service to others over service to yourself is just ingrained from birth. And so, saying that self-care is a revolutionary act, and asking women to save themselves first feels hard. So looking to Harriet Tubman as an example of that, and what comes of that, is a really powerful example. So when we ask women to do that, not unlike: Put your own mask on first in an airplane. Not unlike that. Asking woman to save themselves first, which means if your sister, if the woman at your church, if no one else wants to walk with you, to walk alone. When you find out how to make time for yourself every day, then come back for others, and then rally women and allies who will support you. And then the last thing we learned from Harriet Tubman is to live joyfully after you’ve done that. And that, particularly in America now, this notion of slowing down in order to serve others, of slowing down and caring for oneself in order to practice joy and bring light into the world, is a really different concept for me personally. It’s a concept that I needed personally. Denver: And I know you celebrate Harriet Tubman Day, don’t you? Morgan: We do. March 10 every year. Every year, we have 15,000 women. We have women join us on the National Mall on the centennial of her passing, which was in 2013; had no intention of celebrating it every year. There is an outcry from the streets the next year. And so, every single year we do this just colossal celebration of Harriet Tubman. And then three months ago, we actually walked in her actual footsteps. I and the national staff – we are 10 women – walked 100 miles along the actual Underground Railroad from where she began northbound into Delaware. Denver: Let’s turn away from the women for a moment to the community. What is the impact of a few, then a group, then ultimately a multitude of women walking through a community… on that very community? Morgan: Denver, everything changes. I’ve seen it happen, and I can’t wait for it to happen everywhere. I’m so excited about the potential for GirlTrek. So what happens when a woman starts walking is, first of all, she energizes herself, and she’s a better citizen. She’s an activated citizen. And our government, our healthcare systems, everyone is trying to figure out what we are now calling this kind of inspiration gap: How do you make someone spirited? How do you make someone an active citizen again when they are immobilized by debt and fear and trauma and the news and all sorts of things that keep us glued to our couches? And depression and sadness and overwhelm! And so the first thing that I just don’t want to dismiss is that you have one active citizen, and that, in and of itself, is powerful. Denver: I’m not giving it away. Morgan: Right! So she starts to eat better. When you walk, you have time to think so you can prioritize your life in different ways. What starts to happen is she becomes a healthy role model for her family and for her friends, and other people want some of that. They want some of that peace of mind. They want some of that joy. They want some of that radiance. And so other women start walking with her. Sometimes her daughter starts walking with her. Sometimes her mother starts walking with her. And in many cases, I could show you so many pictures of three and four generations of women walking together. Denver: Oh, that’s very sweet. Morgan: It’s beautiful! So what happens when a group of women start walking is they start to reclaim space in the neighborhood. So where it may not have felt safe to walk through the south side of Chicago at 6:00 a.m. before work, when you have a group of 20 women walking on the south side of Chicago before work, it actually changes the dynamic because these are our aunts, our mothers, our sisters, our cousins and our daughters who are walking. And say what you will about any of my communities, it’s that we have a code: we have a code of respect and honor. And when women and mothers are walking, that code is activated. And so that matters. And then last but not least, when you have whole communities of walking, you have a critical mass, and you can do things like change policy, improve built environment. You can plant gardens. We do walking school buses. We do free programming in the parks. Women become certified to lead mental health walk-and-talks. There are so many beautiful things that are down the pipeline once women start walking. Loneliness is deadlier than cigarette smoking…loneliness is an epidemic. Denver: I was just thinking of mental health when you were talking about it. Because when women walk together, they talk together. So not only are they trying to impact the community and benefit it, it must be good for their own mental health to share stories and realize that there’s a sisterhood. Morgan: Yes. Well, listen. Loneliness is deadlier than cigarette smoking. I don’t know if you’ve read all these studies. Loneliness is an epidemic, at least in our country. And so what has started to happen is that women are meeting some of their best friends through GirlTrek because there’s kind of a like-minded and a spiritual alignment around wanting to do better. We ask women to publish their walks. Of the 100 walks you commit to do in the beginning, we ask women to publish at least 10 of them, and we ask them to do that in order to be a lifeline to others. Because if you were sitting on your couch, or you were at work and you were overwhelmed, what you need more than anything is to be seen and to be heard and to be acknowledged. And so there is an army of women out there waiting to be your friend and waiting to be your ears and waiting to bear witness to your life. And so GirlTrek has become a powerful mental health intervention. What that means though is that we then need to be prepared for that. So we are training women all across the country to be mental health first aid responders. So they are walking and they are talking, but they are also prepared to intervene just like you would if you were doing first aid.. to do first aid for mental health emergencies. The best kind of religion: anything that compels you to act in the service of the greater good. Denver: Let’s talk about the spiritual nature of what you do and yourself. I was really taken at your TED talk in Vancouver that you started it with a prayer, which I found to be quite refreshing and quite unusual for a TED talk. Tell us a little bit, Morgan, about your own spiritual journey and how it informs the work you do at GirlTrek. Morgan: Listen. My spiritual journey is complicated, to say the least. I grew up in the church. My mother is a missionary in the church. When I went to college, I most definitely did not go to church and started to explore as much spiritual teaching and knowledge as I could and was just very taken by people like Pema Chodron and Thich Nhat Hanh who talked about this notion of walking meditations and putting feet to your prayers, of marrying kind of action and activism with spirituality and faith. And for me, that is the best kind of religion: anything that compels you to act in the service of the greater good. And so, we started our TED talk by—I always ask God to just guide my words and guide my feet because I was taught to do that, and because it’s a really important part of my culture, and it’s because it’s my core belief. But I believe, in terms of GirlTrek, we have spiritual warriors, and then we have just outright gangsta hustlers out there. So I’m just saying all are welcome, and we need all in the movement for sure. I believe that, especially now, that faith – and what I mean by faith is this ability to dream and hope and envision a world that is just dynamic and beautiful and loving, and to move in the direction of that without having further evidence that it is possible – is necessary. And I think that’s what social innovators do. I think there is just a different language for it. And so I just consider myself a translator often, to bring as many people along. Denver: Yes. I mean, I find it to be a very interesting branding challenge in some ways because, again, you’re looking to create a movement, which I think you’ve identified as a million women. You’re at 150,000, so you’re about a seventh of the way there. But sometimes when you’re trying to create one of these things, to have it all-inclusive and not have some people say, “Well, that’s for them over here, and this group over here,” it really does become a branding challenge. How do you look at that? How are you thinking about scaling it the other six-sevenths of the way to hit that million mark? Morgan: So we always knew it would be hardest to get 100,000 people to join. Denver: Yes. It always is. Morgan: Did you see the TED talk “How a movement gets started?” You have the lone nut and then the second follower? Denver: You’re the lone nut, right? Morgan: We’re the lone nut. They’re the second followers. And thank God we now have a movement. Morgan: So the good news is that when I wear my GirlTrek shirt around Manhattan now, everyone notices and recognizes it. So now we have the attention of the world; it’s a matter of making the case. And that to me feels infinitely easier than knocking on doors and being in church basements to get the first 100,000. So we’re super excited to have some really powerful media partners. We’ve partnered with Essence Magazine. We’ve partnered with BET Her. We’ve partnered with the theroot.com. All of these just powerful new media and traditional media partners to start to get the message out. We’ve also started to partner institutionally with black sororities, with the faith-based community in churches. We are talking to kind of the first ladies of churches across the country. We’re challenging all of them to see who the healthiest first lady in the country is. That has been really powerful. And so we are really excited about the growth and the scale and have no doubt that we’ll reach a million. It seems much easier than kind of the one-on-one recruitment that we’ve done to get to 100,000. So we’re excited about that. You asked another question. What was it? Morgan: Listen, truth doesn’t have to be parsed. I just really feel like this is a crisis of epic proportion, and if people and anyone who cares deeply about humanity understands that. And so when I say that we are rallying one million black women to walk to save their lives, if that offends you, then this is not for you. If you are inspired by that, whether you are black, white, male or female, then this is a community for you, and we need you quite frankly. And so some of our allies, there’s a man named—do you know David Bornstein, the writer on the New York Times? Denver: Yes, I do. I have had Tina Rosenberg on the show, Solutions Journalism. Morgan: Oh, yeah. I love Solutions Journalism and Tina and David. Denver: I’m moving newspapers in America! Morgan: So there is a role—when we walked 100 miles on the Underground Railroad, there was a young, white female woman photographer who followed us every single step and photographed the journey. She laid in swamps in the middle of a nor’easter and took the photos. That’s the kind of allyship I’m talking about. And so if you understand that our goal is to speak directly to black women, to rally black women because if we do that, we can create a proof point and a model for all of America… and potentially the globe for social change, then this is for you. And that doesn’t feel like a branding issue. It just feels honest. …life is to be lived. That we are here… not walking just to drop pounds, but to live our healthiest and our most fulfilled lives, and you deserve it, and you’re worth it. Denver: Yes. You’re on to something big. And talking about that 100-mile trek, it got me to thinking about some of the adventures that you orchestrated, like to the Rocky Mountains and things. Tell us about a couple of those. Morgan: Oh, you just gave me a great memory. We do something called the Summer Trek series where we go to—we partner with the National Park Service. We go to some of the most beautiful places on the planet. Our country is just so stunning. I just encourage anyone listening today to just make time this summer to see a part of the country you haven’t seen before. It’s just a stunning part. So we were going into Yosemite Valley and there were two minivans. We try not to take large groups because just like my church home, the outdoors is a sanctuary for many. So we were super respectful. It’s a part of our core values. So we took a group of women. Most of them were older women from a church. And as soon as we came into the park—and have you ever been to Yosemite? Morgan: And so you know the valley is just stunning—and immediately, there were just tears. And hands raised and “Look at God!” And the women from both Sacramento and Oakland said, “How is it possible?” Some of them were tears from just the sheer beauty. Some of them were tears of regret: “How is it possible that I’ve lived my entire life just a few hours away from this majesty and I’ve never seen it?” And so for me, whatever trips GirlTrek plans—we’re doing the Rocky Mountains here in just a few weeks—whatever we do, it’s just to spark that feeling. That life is to be lived. That we are here… not walking just to drop pounds, but to live our healthiest and our most fulfilled lives, and you deserve it, and you’re worth it. So that to me feels like a powerful—if you want to call it a brand, call it a brand. But I call it just a personal mission. Denver: Yes. Sounds like one, too. So organizations like yours, Morgan, that are changing the culture in profound ways, usually have a very interesting and healthy corporate culture themselves. Tell us a little bit about your workplace culture and some of the things that you think makes it really special. Morgan: Well, our work culture is incredibly special. We have, first of all, all black women who work for us– not by design, out of expertise. We’re looking for women like Nicole Hubb, for example, is the first lady of a church. And I tell you there’s no one in the country who can mobilize churches better than she can. In our work culture, we have a couple of really innovative things that I’d love for your listeners to hear, and I’d love any feedback. First of all, we have something called “No Meeting Mondays.” What we do is we build inspiring and powerful campaigns to change public health. And so in order to do that, we need think time, and we have to slow down our work week. Our work week is so crazy. I mean, you can imagine. And so we do “No Meeting Mondays” where you’re not even allowed to schedule an internal meeting. Denver: You’ll get great feedback on that, I’ll tell you that. What we also do is we do “swap days.” Because people work on weekends often, and our organization works on weekends all the time. When we work on Saturdays, we force ourselves to do a swap day the very next week. One of the things about our org culture that has actually been celebrated by many of my colleagues in the social innovation space is that we do self-care sabbaticals every year. From December 1 through January 15. We come back on Dr. King’s holiday. We go back in service then, which is all very poetic. For six weeks every single year, we shut our entire office down, and that terrified our funders for the first four years. They’re like, “How is it possible to reach your incredibly ambitious goals when six weeks you’re shut down every single year?” Well, I will tell you, Denver. It has been the most innovative thing we’ve ever done because—and I got it from teaching because I used to be a classroom teacher—there’s no way that you can sustain this level of engagement and the level of care necessary to change culture without resting, without having downtime. I mean, complete downtime. And we’ve stayed very disciplined to that. And I tell you, every January 15, we are so hungry to come back to work. We have so many ideas that we have to do a week-long processing of all the ideas. It’s so amazing. So our work culture is fantastic. We focus a lot on professional development. We have a stipend that everyone is required to use every single year, and we use that very religiously. We’re awesome. We communicate a lot, like we over-communicate. We Slack; we talk a lot. Denver: You can over-communicate, that’s for sure. Morgan: We over-communicate. We over-brain trust. We meet a ton. We plan, plan, plan, plan, plan a lot. I get that from my mom. She’s a seamstress, so she’s like, “You have to plan this out.” So we are planners, for sure. Denver: Well, all very interesting. And you meet a lot, but not on Mondays. Let me get you out on this, Morgan. Boy, GirlTrek has no shortage of wonderful and inspirational stories of women who have really been part of this movement. Why don’t you share one or two of those with us. Morgan: I’m trying to think of the best one to share with you today. I’ll share one that’s just fresh on my mind. So we are now doing something called the Road to Selma. I don’t know if you’ve been following. So next summer, we are convening a few thousand women to become certified GirlTrek activists and organizers in their communities, and we’re doing that on hallowed ground in Selma, Alabama. Well, in order to prepare the women for this experience, we are doing a national tour and we’re going to 50 cities. So in the last three days, I’ve been in three different cities. I’ve been in Detroit, I’ve been in Jackson, Mississippi, and I’ve been in New Orleans. And this will continue until next summer. And there was one young lady who stood not in the front of the line, but way in front of everyone, and she just stood there, and she just took up her space. And I happen to know that young lady’s story. I think she’s about 20 years old, and she struggles. She struggles with an autoimmune disease, and because of it has lost her hair, has lost pigmentation in her skin, has battled with her own personal weight and health and mental health. And for her to have the confidence to just literally claim her own space came from something, and I think I know where it came from. About four years ago, it was her mother—her name is Cynthia—who came to a GirlTrek training in the Rocky Mountains and professed that she was not able to be an organizer because she didn’t know how to talk to people. She was super shy. And Cynthia went on to try and organize in Jackson, Mississippi and not be successful the first probably four-, five months, and wanted to give up. And we said, “Well, you know what? You just keep walking because you have daughters, because you’re a member of your church, so you just keep walking.” Well, she did that and she walked rain or shine. She started to experience weight loss, dramatic weight loss,… mood elevation and she started to experience the health benefits of a new daily habit like walking. And everyone started to notice. And so before long, other people started walking with her. Fast forward a year later, she was the most successful organizer in the country. She had churches and schools and neighborhoods all across Jackson, Mississippi. To this day, Jackson, Mississippi has thousands of GirlTrek walkers. Any given park on any given Saturday, you will see superhero blue, and it’s all because of Cynthia. She’s been on the news talking. She’s still shy, which makes her incredibly endearing and wonderful, but she pushes through. All of that success… and the greatest success that she’s had was with her daughter just two days ago — with her daughter’s confidence, with her daughter’s wherewithal and commitment to her own personal kind of journey. And for me, it was just incredibly moving. It’s incredibly moving. Denver: Yes. Wow, it’s moving to all of us. What a wonderful story. Well, Morgan Dixon, the Co-founder and CEO of GirlTrek, I want to thank you so much for being here this evening. For people who want to learn more about GirlTrek or perhaps take those first steps that will help change their life, what is your website, and what information do you have on it? Morgan: Please follow us on social media @girltrek across all social media. And then please join us and take the pledge at girltrek.org. Denver: Well, thanks, Morgan. It was a real pleasure to have you on the show. Morgan: It’s been very wonderful.